Connections, the global networking and event organiser for senior decision makers of luxury travel has today announced its first Connections Bespoke event in California, in partnership with Visit California, set to take place 10 – 13 March 2019. Based in Santa Monica, Connections California will showcase the Golden State’s finest destinations to luxury travel companies from around the globe. Elite buyers will meet exceptional hotels, boutique properties, experience providers and destination management companies from California. Host properties include Loews Santa Monica Beach Hotel, Fairmont Miramar Hotel & Bungalows, Hotel Casa del Mar and Shutters on the Beach. Connections has curated the schedule and format for this event, bringing a carefully selected group of up to 40 global agents together with California suppliers, in an environment that aids networking opportunities and leads to longer-lasting business relationships. Senior executives and experts invited to attend all serve a clientele who are among California’s top global market andhave been chosen following extensive research and recommendation. One-to-one meetings between buyers and suppliers will be enhanced with memorable local experiences to celebrate the region’s immense wealth of “laid-back” luxury offerings. 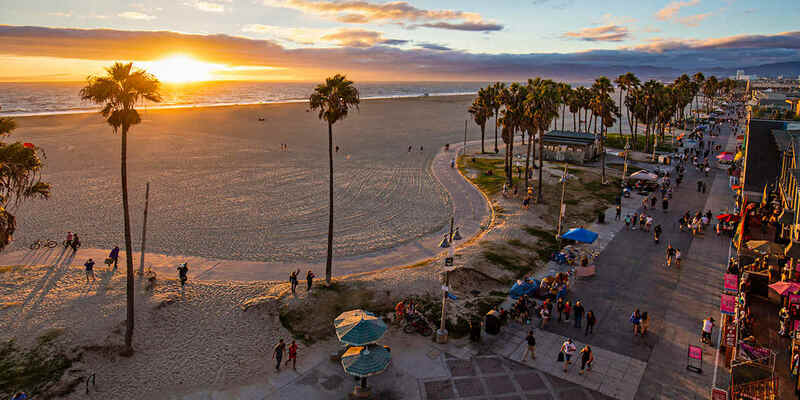 Delegates will enjoy exceptional cuisine, iconic Santa Monica attractions and rejuvenating wellness activities. The event will offer Segway sessions, historical walking tours and painting lessons to name but a few. Connections California also includes an educational programme to discuss trends and challenges facing the market, as well as inspirational talks from industry leaders, artisans and pioneers in the luxury realm. Leona Reed, Associate Vice President of Global Marketing at Visit California, says that theyare honoured to be partnering with Connections to showcase California as a luxurious yet relaxed destination, to this incredible audience of luxury travel leaders. This event will connect global luxury buyers with diverse travel suppliers in a new personalised wayand provide the opportunity to spark a deep-rooted passion for our renowned region. Founder of Connections Micaela Giacobbe added that she is very pleased that we are launching Connections California and providing the opportunity for global buyers to see the luxury appeal of the state and how this unrivalled area has firmly come back from recent natural disasters.